I am currently reading Once Upon a Farm by Rory Feek and I recently finished his other memoir, This Life I Live: One Man’s Extraordinary, Ordinary Life and the Woman Who Changed It Forever. I was not familiar with Rory or his wife , Joey who passed away in 2016. They had a tv show about their life together, but I didn’t know about it until I read these books. They both were country writers and singers. She helped raise his 2 daughters and sadly, when they finally had a child, Joey was diagnosed with cancer and only survived until the child’s second birthday. Despite life’s problems, he maintains a positive attitude and writes of what he has learned from life. Today is a freebie day on the mewsic so I chose songs written by Rory. Joey and Rory-When I’m Gone https://www.youtube.com/watch?v=xcpjSMmWUDw This was recorded in 2012, long before she was diagnosed with cancer. Today is the A-Z Blogging Challenge Theme Reveal. I already blabbed about that though so you know I am crocheting an item for each day- it will be a cat toy or a cat hat. At the end of the month, I will have a giveaway with 2 winners splitting the loot like last year. We are joining Hi everyone! We are joining Comedy Plus’ Awww…Mondays, McGuffy’s Reader’s Sparks and Mewsic Moves Me ( hosted by Curious as a Cathy, Xmas Dolly, JAmerican Spice and Stacy Uncorked.) I am also joining Book Date’s It’s Monday! What Are YOU Reading? 3. Heaven (1984)- I just like the song. Grandma Gatewood’s Walk: The Inspiring Story of the Woman Who Saved the Appalachian Trail by Ben Montgomery. Emma Gatewood was from a family of 15 children and had 11 of her own. She had been abused by her husband for 30 years. When she was 67 she decided to walk The Appalachian Trail alone, it was 1957. She wore Keds sneakers ( and replaced them a few times along the way), she didn’t even have a tent or sleeping bag. She completed it 2 more times after that too. What an inspiration. Have you seen Joanie’s latest guest appearance on The Codmother? Hi everyone! We are joining Comedy Plus’ Awww. 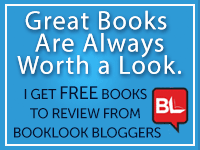 .. Mondays, McGuffy’s Reader’s Sparks and Curious as a Cathy Mewsic Moves Me Blog Hops. Once again, I am skipping the book hop because I haven’t read anything this week worth writing about. The Mewsic theme this week is TV or Movie theme songs. There are so many that I love, it was tough to narrow it down. Laverne and Shirley Theme Song ( I used to love this show. My friend and I would pretend to be them, I always wanted to be Shirley). Even as a child, I loved their optimism. 2. Family Ties Theme Song. I loved this show when I was in high school. 4. My all-time favorite-The Nanny. I used to have my own version for KaChoo. And here is my Spark- Keep Calm and Sing Soft Kitty. It isn’t a theme song, but it is on Big Bang Theory and Young Sheldon often. Emmy wants me to remind everyone they have until Tuesday 9PM EST to enter her Dr. Seuss Giveaway. Just comment on yesterday’s post to enter. Hi everyone! 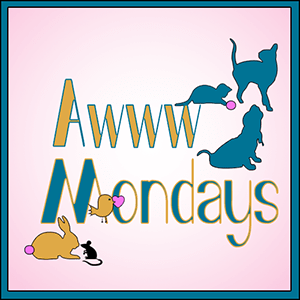 Today we are joining Comedy Plus’ Awww….Mondays, McGuffy’s Reader’s Sparks and Curious as a Cathy’s Mewsic Moves Me blog hops. Being that it is a holiday in the USA , we are going to take a break from the reading hop today. Joanie is taking a day off today. Mrs. Potato Head has offered to watch Gremmie for her while she naps. She knows he will be safe. Mrs. Potato Head has eyes on the back of her head. 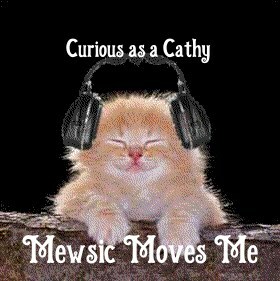 And this week’s theme is our choice for Curious as a Cathy’s Mewsic Moves Me so I am doing songs that annoy me. I know that seems like an odd choice in a post with Sparks, but it is just for fun. Imagine Dragons- Thunder annoys me because a little voice keeps repeating thunder, thunder, thunder and it sounds like a little martian to me. Then it gets stuck in my head. Adele’s Hello annoys me too. She has a beautiful voice, but the lyrics disturb me. Who in their right mind would like to get together with an ex to discuss what went wrong? Get out of the past and move on lady. And lastly, Florida Georgia Line’s H.O.L.Y really irritates me because they sing “Holy, holy, holy” the same way it is sung before communion in church except they are worshiping a woman instead of God. Ok, that one wasn’t for fun, it is a pet peeve of mine.